The Liberty Dollar was "Hawaiianized" with a very special series of seven Hawaii Dalas in 2007. 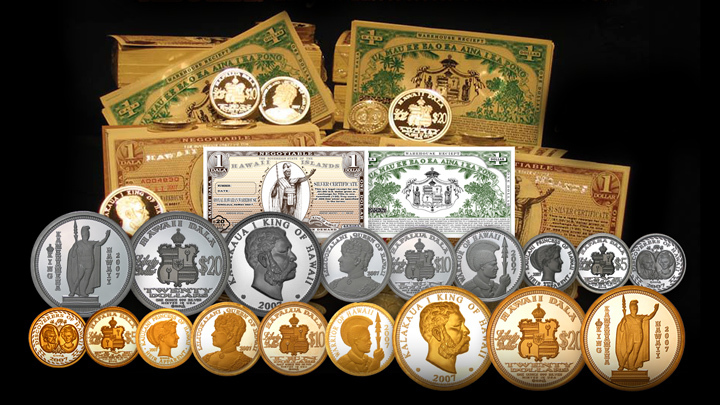 The six popular Royal Designs with $20 Kamehameha the Great, $20 King Kalakaua, $10 Queen Liliuokalani, $20 and $5 Princess Kaiulani, $10 Warrior and the $5 Hawaiian Discoverers were issued with precise detail. One Dala paper currency certificate was also issued and redeemable in Hawaii Dalas.